Moral principals or morality is a form of thought, judgment and standards which contains certain information or knowledge about the proper (The Free Dictionary). This Knowledge is functionally subordinated to the main – the regulatory role of standards and this is different from scientific knowledge. At the same time, the rules are not abstract or “pure” formal-logical constructions; they are connected with the reality which exists. Morality is undoubtedly dependent on faith in God in the sense that it interacts with it as well as with other forms of culture – art, science, maybe even closer to science than other. Both morals and religion have a common point of intersection. The words “faith” and “healing” in the Greek language have the same root. Thus, to believe – means to find purpose and meaning in life, to find its place in the world, to see the path leading to this goal that is beyond earthly existence. There are two worldviews: one of them thinks that the world is a huge soulless mechanism that was unleashed forth by an unknown entity. On one of the dust specks of this huge conglomerate of celestial bodies that was accidentally originated is a phenomenon called life. The combination of atoms and molecules that has received the ability to transmit their structural plan of the other systems, they brought us a surprise. Immortality is not (Religion and Morality. The God Delusion. Richard Dawkins). Life is like a spark flared up in the darkness of cosmic night, it fades and disappears, a man born akin to be aware of his impending doom, weakness and the meaninglessness of life; born to join death and no return towards consciousness with a permanent feeling of eternal fade into the darkness of grave which is the abyss of nothingness. This deeply pessimistic outlook does not provide the makes of moral ideas and volitional incentives, it only promises to man an illusory freedom which takes away any sense of responsibility for their lives lived. If life is random and meaningless, then to whom and for what is man accountable? If a person is just a structural connection of atoms and molecules, controlled by bio-currents, then who is he to love; A Bio-machine? To whom shall we bear our moral responsibility? Despite the argument, do not attribute the thought that all atheists are immoral and unprincipled men, but one has to think that atheism has no relation to morals. If an atheist is moral, it is because he has learned the behavior of the highest, eternal, innate law of justice, which he rejects with all of his intellect, but his heart feels the instinct to life and proper and moral conduct. Religion is not morality; it is foundation for moral and ethical principles. One can have faith absent from his life and be a decent person. This simple idea is very difficult to accept for critics from secular civilization, although in this case it is difficult to say what exactly is expressed in practice the spiritual crisis of this civilization. If one is to reformulate the original question, taking into account adjustments made, it looks purely rhetorical. For the answer is quite obvious and indisputable: morality, regardless of religion is possible. There were whole epochs and nations that had huge moral achievements even during the pagan period in its history. The most glaring example would be Ancient Greece, within the culture which crystallized cardinal virtues of temperance, courage, justice, wisdom was formulated the golden rule of morality and developed the concept of ethics. All this is the priceless heritage of humanity, fully retains its value so far. Furthermore, the golden rule of morality formulates the first civilizations independently of each other. This principle is to be found among the sayings of ancient sages, Buddha, Confucius, and Thales. In the most general form of this rule is as follows: (Do not) Do unto others as you (do not) would like them to do unto you. This rule represents the society as a set of equal people and halts the divide between “us against them”. The reasons one may perhaps agree with the arguments of Goodman are simple; demoralization of humanity, denial and thwarting in the fulfillment of human sexual and marital relations, and denial of common humanity. In addition to the specific moral norms, Universal moral principles exist such as “Thou shall not steal”; or “The Good Samaritan Law” The peculiarity is that they ask the most basic formula from which we can derive all other specific rules. Nevertheless, those who deny the eternal life should look at life on earth as the only realities and an end in itself, and then the content of this life must be that of intellectual or sensual pleasure, which the said contents give. But the intellectual and artistic nature is likely to break down in contradictions, internal and external and they cannot with their heart and life accept the meaningless absurdity, cannot understand the evil that exists in the world and they cannot come to terms with the violence of the world, so the said people have an appalling fate. Others see the meaning of life in sensual pleasures, as the ancients said the motto of “In vino veritas” (in wine is the truth). But sensual pleasure is not a state, but some nervous reaction, which is replaced by the devastation and frustration. Therefore, even primitive people cannot feel in the depths of their souls, that this is only a surrogate and false happiness. Often these frustrations lead people to a more radical method to turn off their minds from deception of life and the purpose of eternal frustrations; from this comes into play the abuse of alcohol and drugs. Christianity teaches that the highest expression of the human person is a sign of healing in love of God and people. Faith in God is healing of oneself. Christianity does not offer artificial systems for the treatment of diseases, such as yoga and other systems with a pragmatic and utilitarian form or way in nature. Christianity treats the very soul of man, it shows the purpose of life, which lies outside of terrestrial life. This goal is the Absolute Spirit, the supreme Personality of Godhead, the source of all love and life. Moreover, Christianity teaches about the high destiny of man, his immortality, eternal life and communion with God as accepting the Holy Spirit in to one’s life and becoming Christ-like. Faith in Christ shows the meaning and significance of the earthly life of the field, where a human person uses earth as a springboard for eternity. In this life, what seems to us as misery and suffering is converted in to a spiritual sense. In the New Testament, Jesus Christ expressed this principle which is this: You shall love the Lord your God with all your heart and with all thy soul, and with all thy strength, and with thy entire mind. This is the first and greatest commandment. And the second is like it: “Love your neighbor as you love yourself” (Matthew 22:36-40. The Holy Bible). The New Testament ethics – are the ethics of love. The main focus of these ethics is not a formal submission to the laws and regulations, but rather to have mutual love. The commandment of love does not negate the Ten Commandments of the Old Testament, when a man works on the principle of “love thy neighbor” therefore he cannot kill or steal. Some would argue that religion uses moral principles as accountability for their faith in God. Others would argue that there are many streams of religion, which have reversed the moral principles; an example would be in Islam it is a prime duty for a Jihadist to kill all non believers while the Devil Worshipers sacrifice humans. In addition, some are faced with the following problems: Are there criteria of truth moral maxims? This is the main reason for the difficulties that arise in the comprehension and deadlocks of morality, unfolding to the person to look for the answer in religion. Such questions as: – How can I be sure that I am doing the right thing? Are the authorities of Morality necessary? Which moral principles am I to follow? Where do I take the criterion of perfection which indicates to the authority of morality? Who is right to judge, and what measures according justice? It must be either a general, universal (divine?) or not, but then why ask for justice? – What is justice? What is the source of Justice? Thus, it seems that the world of values is a world of phenomena, the content of which is not knowable by logical quirks (the latter are able to give only a hint), but the fact of their existence is to certify individual experience of opening the importance of moral values. But Christianity gives the ideas for which the person is ready to overcome difficulties and obstacles in his path and strength to succeed in this. Faith in God does more than if she or he had just healed the disease: it enables a man to be happy in them through suffering which may arise, while the Bible contains all answers to the philosophical questions. Philosophy prepares a man for debates and understanding what a possible debater may bring up in a conversation; but it also boxes the human mind to a school of thought that led many astray from worshiping and having faith in a one true God. And finally, Christianity reveals to man the highest value of earthly life feeling of love for all others, regardless of their intellectual, national, social and other differences. And if one is to search amongst many movements of religion and faith based movements- it is only in Christianity that one will find equal love for all. The Declaration of Independence provides an example in which our government takes these principle and ethics in to consideration: “We hold these truths to be self–evident, that all men are created equal, that they are endowed by their Creator with certain unalienable Rights.” An unalienable right is one that a person can never have taken away, by another person or by a government. Thomas Jefferson offered as his examples of such rights “life, liberty, and the pursuit of happiness.” Thus, to murder another person is to deprive that person of his or her life, and society has the obligation to punish that person in such a way that its commitment to this fundamental right is made clear. While George Washington stated: “’Tis substantially true, that virtue or morality is a necessary spring of popular government. The rule indeed extends with more or less force to every species of free Government. We have abundant reason to rejoice that in this Land the light of truth and reason has triumphed over the power of bigotry and superstition, and that every person may here worship God according to the dictates of his own heart. In this enlightened Age and in this Land of equal liberty it is our boast, that a man’s religious tenets will not forfeit the protection of the Laws, nor deprive him of the right of attaining and holding the highest Offices that are known in the United States”. Christianity – is a holistic system of human life. It cannot be considered analytically, it is necessary to enter and live in it while making it a way of life. Everything is interconnected, as in a single living organism: Moral Ethics, Faith based principles, love of mankind, preaching the Kingdom of God while cleansing and making the sick healed, casting evil out and worshiping without a reasonable doubt the one and true Creator. Yes, Christianity revives human personality out of an individual. 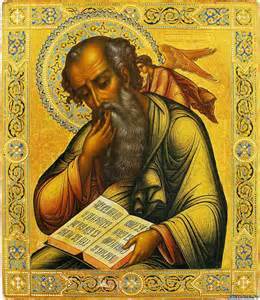 Faith in God makes one find himself, as in the words of the Russian apologists Orthodox saying “the soul by its nature is Christian”. Christianity is that there is no religious system but Jesus Christ is God the perfect Man who is an eternal example and a model for the Christian believer. Similarly, Moral Strength is the courage to do what is right and one has to keep the concept of selfless service in mind, due to the fact that norms change, while morality stays the same. Even if it is unpopular to keep to morals and tradition, the actions taken to carry out the values of ethics and morals build character. William Penn stated ones “What is wrong is wrong, even if everyone is doing it. Right is still right, even if no one else is doing it.” Morals are always the same, and whether the modernists like it or not our country is founded on the Christian principles; now immorality varies from generation to generation and usually is in violations to the fundamental principles of proper conduct. But if one looks to the oldest book written, The Holy Bible all the foundation is in it. The forefathers and Framers believed in it and based the Constitution on it. The Faith Monument: “the blue Print of America” is build in support of it. Alexander Campbell summed up the standard of morality in seven words, “One God, one moral system, one Bible” (Campbell, 15). Humanity discredits themselves and the morals on which they stand when they argue that the moral standards are too high. What the mankind ought to do is to do their best to bring their lives up to the standard. Likewise, the church should never allow compromise on God’s moral standard. But Morality and Christianity go in hand with each other. Campbell, Alexander, (no date). The Christian System, Standard Publishing Co.
Hollenbach, David, (2002). Common Good & Christian Ethics. Port Chester, NY: Cambridge University Press. Madison, J. (1785). Memorial and Remonstrance Against Religious Assessments. Morality. The Free Dictionary by Farlex. Copyright 2014 Farlex INC.
Thomas Nelson Bibles. The Holy Bible. New King James Version. Copyright 1982. Thomas Nelson, Inc.
Washington’s Farewell Address 1796 (2008). Avalon Project. Yale Law School. Lillian Goldman Law Library. This entry was posted in Faith and tagged Christ, Christian, Christianity, Christlike, ethical principles, Faith in God, Gifts, God, Jesus, Jesus Christ, life, Lifestyle, love, Thoughts. Bookmark the permalink.